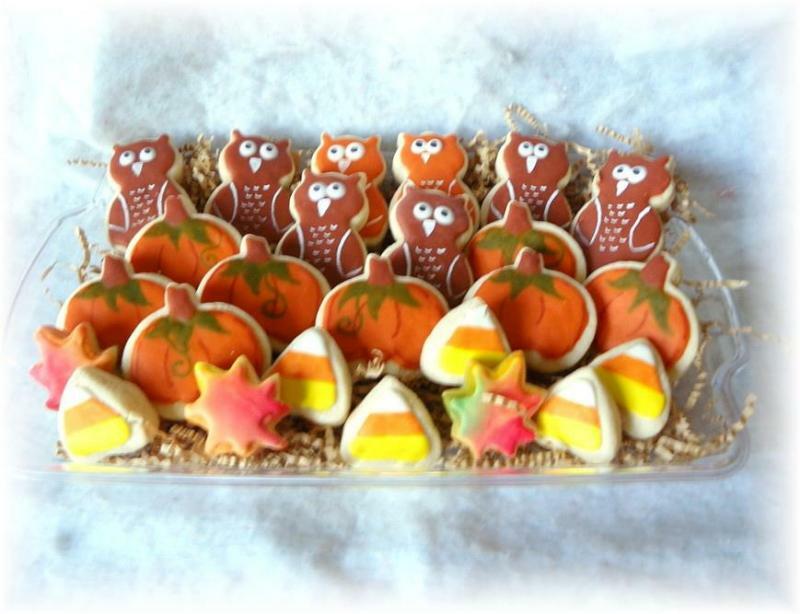 I hope to include a nice collection of cookie collections for the fall season, including halloween and thanksgiving as well. Hope that you will find something suitable for any of your celebrations this season. Unique and fun for any party this fall season. 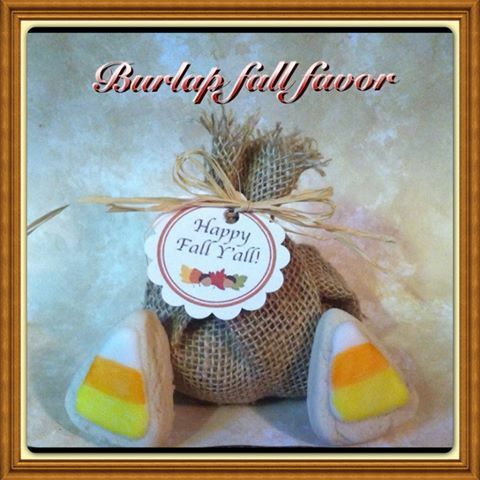 Handmade from burlap with fall tag. Each bag includes two candy corn cookies. Tied together with raffia. 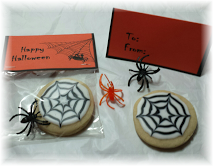 Cookies are wrapped inside plastic to ensure freshness. $3.00 per bag. Shipping fee will cover up to 15 favor bags being shipped together. 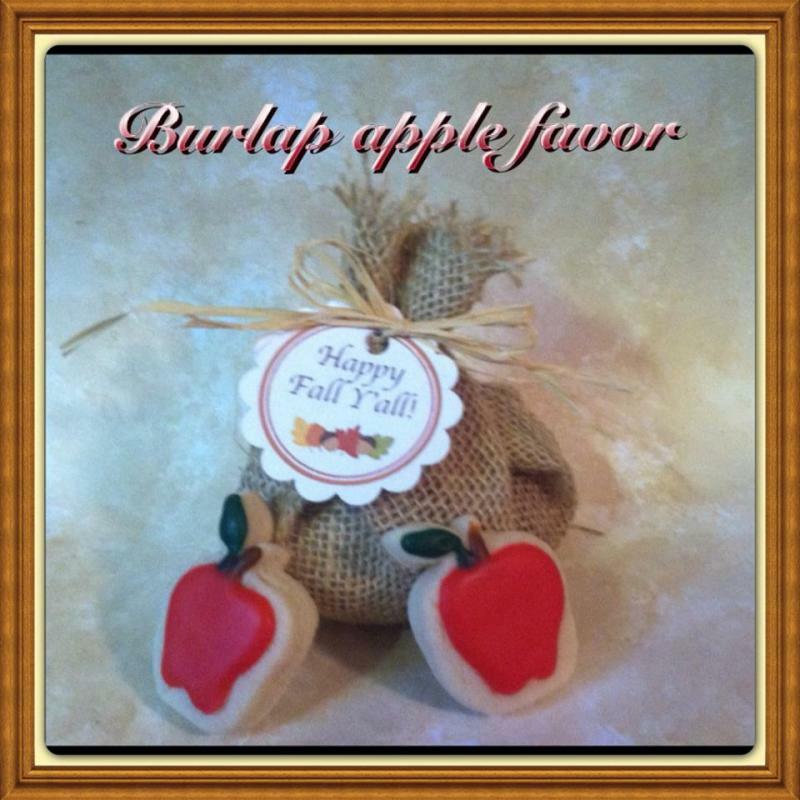 Same as above favor, except this one features apples as the cookies. Still handmade bag, cookies wrapped before packaging. 2 cookies per bag. $3.00 per bag. Can ship up to 15 bags for shipping that will add to this order. A bit bigger than petite size, this collection looks super on a platter or bagged for favors. 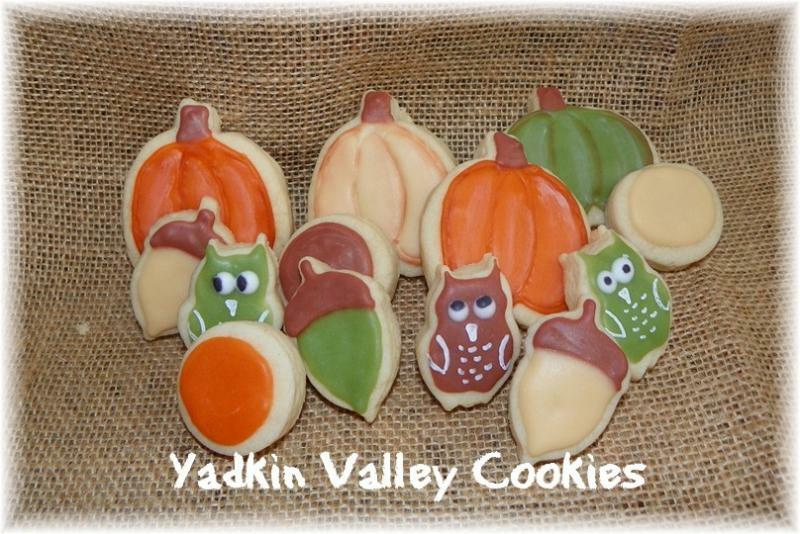 Yummy vanilla glaze and all hand decorated. $25 for 3 dzn. Fun, fun, fun! 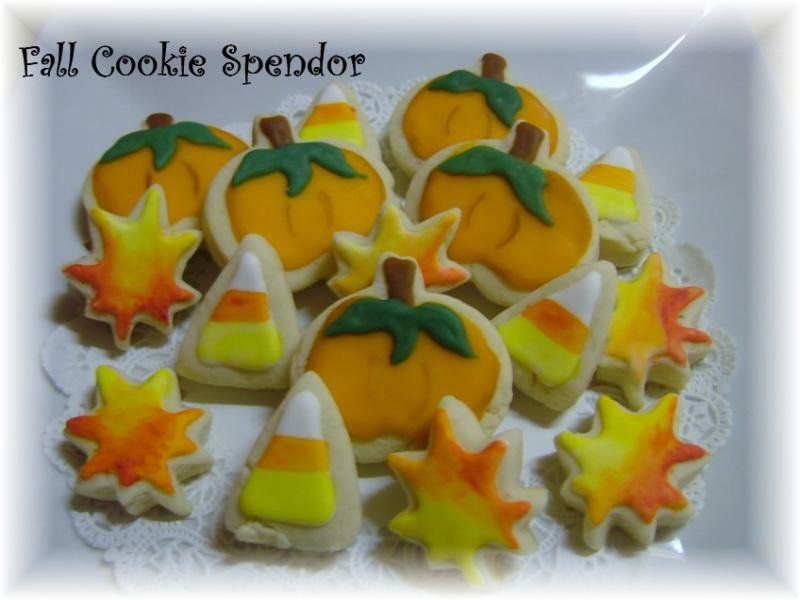 for any fall or halloween gathering or party. 3 bags of cookies, including 5 cookes per bag. (15 total cookies) order as many as you need for your next even. Hand made bag topper. $10.00 for 3 bags. 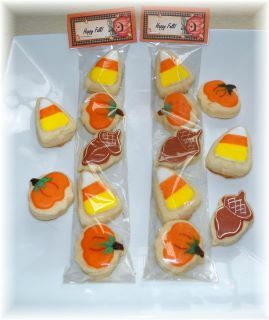 The are great party favors and trick or treat gifts. 3" in size a super delicious. Each will come individually wrapped in cello bag and tied with festive ribbon. 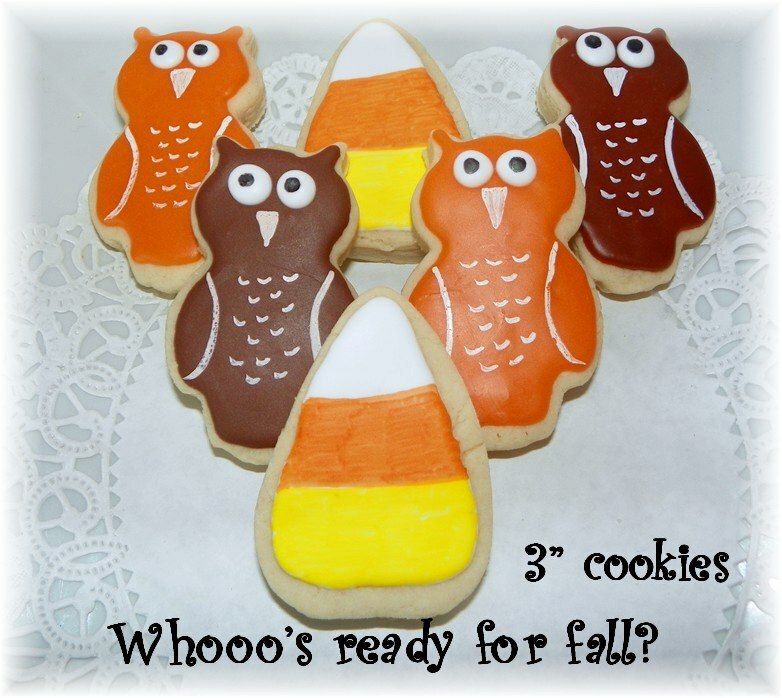 Similar to fall splendor above, with owls mixed in with a bigger leaf cookie included. Fun for any party or gathering. 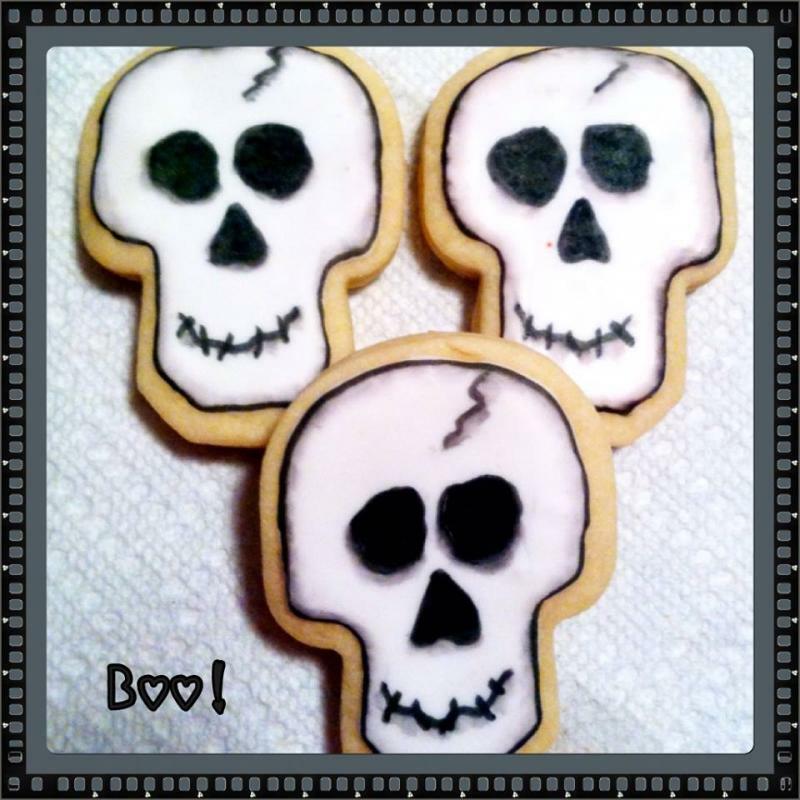 Fun for your Halloween parties, the skull cookies are 3" in size, and come individually wrapped. 1 dzn. $26. Fun, fun, fun. 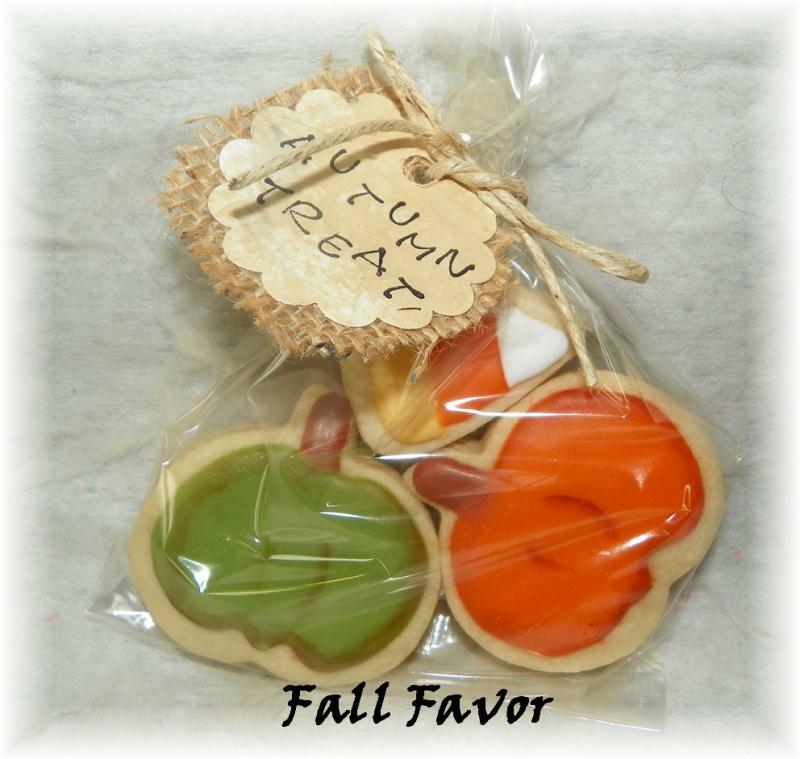 Share these favors with friends and neighbors. 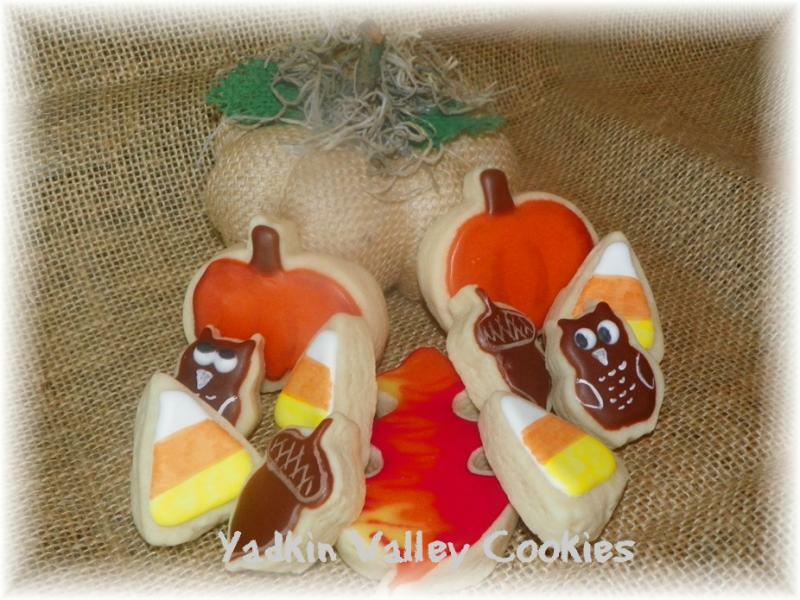 3 cookies per bag-two pumpkins and a candy corn. Handmade burlap tag. $3 per bag. ***Shipping on this item will cover up to 15 favor bags Priority shipping. Please order in ample time for your event. Normally 3+ weeks is appreciated when possible. Otherwise, weeks tend to fill quickly. Limited spaces available each week.